An experienced trial and appellate lawyer, Ameer Benno litigates civil rights and personal injury matters for the firm. Ameer takes great pride in seeking justice for those who have been injured by the wrongdoing of others. His personal injury cases include premises liability, motor vehicle accidents, product liability, and construction accident cases. In his civil rights practice, Mr. Benno champions the rights of individuals who have been subjected to governmental abuses of authority. These cases range from police misconduct matters to prisoner rights cases, from unjust conviction claims to employment discrimination matters. Ameer began his legal career as an Assistant District Attorney at the esteemed Manhattan District Attorney's Office, where he served for several years in both the trial division and the appeals bureau. Upon leaving government service, Mr. Benno worked at premier civil litigation law firms where he focused on representing plaintiffs in personal injury and civil rights matters in both state and federal courts. Mr. Benno is admitted to the New York and Connecticut state bars, and is admitted to practice in the federal courts of the Southern, Eastern, Northern, and Western Districts of New York, as well as to the United States Courts of Appeals for the Second and Third Circuits. He is also admitted to practice before the United States Supreme Court. From 2006 through 2012, Mr. Benno was an adjunct professor at New York Law School, where he taught Appellate Advocacy and Legal Reasoning and Writing. Mr. Benno regularly lectures for bar associations and continuing legal education providers on topics having to do with trial practice, civil rights litigation, Constitutional law, and the U.S. Supreme Court. Mr. Benno has been named to The National Trial Lawyers: Top 100 and has been named a New York Metro Super Lawyer every year since 2012 in the area of civil rights law. Mr. Benno has also been selected for membership in the National Association of Distinguished Counsel as one of the “Nation’s Top Attorneys.” These are invitation-only organizations composed of the premier trial lawyers from each state who meet stringent qualifications. Mr. Benno is rated 10.0, the highest rating given, by the online lawyer rating service Avvo.com. Ameer serves on the Civil Rights Committee, Federal Courts Committee, and Appellate Law Committee of the Nassau County Bar Association. He is a member of the Civil Rights Section of the American Association of Justice, the National Police Accountability Project, the First Amendment Lawyers Association, the New York State Trial Lawyers Association, and the Brooklyn Bar Association. 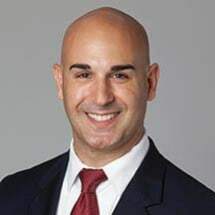 He sits on the board of directors of the New York State Academy of Trial Lawyers and is an executive officer of the Nassau Lawyers’ Association of Long Island. In addition to his membership in professional organizations, Mr. Benno is a civic leader. He is the president of the Merrick-Bellmore Jewish Community Council, serves on the board of directors of the Merrick Jewish Centre, and is a member of the Long Island chapter of the Jewish National Fund – Lawyers for Israel. He is a member of the Bellmore Kiwanis, the Bellmore Lions, and Post 652 of the Jewish War Veterans of the USA in Merrick, NY. He served as an officer of the South Bellmore Civic Association, and is currently a member of the Freeport-Roosevelt Chapter of the NAACP. Ameer is a graduate of the Johns Hopkins University and Cornell Law School. He lives in Bellmore, NY with his wife, Gayle, and three daughters, Sophia, Violet, and Clara.